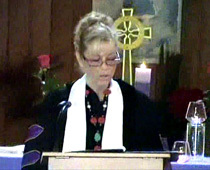 Nancy Ash holds a PhD in religious studies; and a doctorate of divinity degree (DD) in metaphysics and spirituality. Ordained in 1985 as an interfaith minister (and again in 1998 with the federally recognized ADL ministry), she is a devoted midwife to the new paradigm with a worldwide voice promoting Oneness. Starting in 2014 - A Master of Arts in Religious Studies The creation of a Master of Arts in Religious Studies program provides a highly flexible, interdisciplinary curriculum that takes full advantage of faculty strengths within NETU, as well as ancillary fields of the humanities and social sciences. In the spirit of the inherently interdisciplinary character of religious studies, the Master of Arts-Religious Studies will provide candidates opportunities to pursue focus area studies and research in the history, theory and method of religious studies, and in important complementary interspiritual approaches such as textual study, history, philosophy, anthropology, sociology, culture and art. The New Earth Theological University facilitates unique graduate and postgraduate interspiritual studies in a broad and creative range of academic disciplines, directing the general and interdisciplinary online educational programs. Upon admission to the New Earth Theological University, each student is assigned an Academic Advisor. As a NETU Advisor, I'll be delighted to assist you in expanding new vistas of consciousness through postgrad and graduate courses online in your areas of focus for research and study. The New Earth Theological University uses a teaching method based on the Oxford Tutorial. Students engage in reading, research and writing assignments and interact with professors in groups or individually on a regular basis. We feel that NETU is the best online university and offers a wide array of opportunities for advanced education in the new paradigm. May your studies at this top online university be a life-changing experience.